The school has a Sanatorium (staffed by two Registered Nurses) which is situated halfway up Bob Fair Drive. 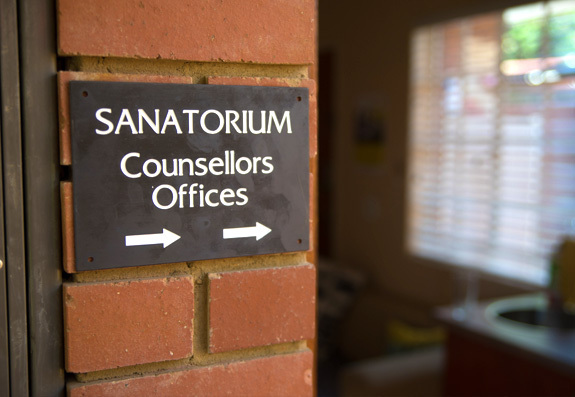 The Sanatorium functions as a Sick Bay and First Aid Centre from 07:00 to 19:00 from Monday to Friday and is equipped to deal with minor ailments and injuries. Please take note that the health of each boy remains the parents’ responsibility as the Sanatorium is not meant to be a Primary Health Care Clinic, Day Hospital or Pharmacy. Parents of both day boys and boarders will be contacted in cases of emergencies, acute illness or chronic conditions which should be dealt with by a doctor.